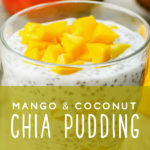 This Mango and Coconut Chia Pudding is surprisingly delicious! 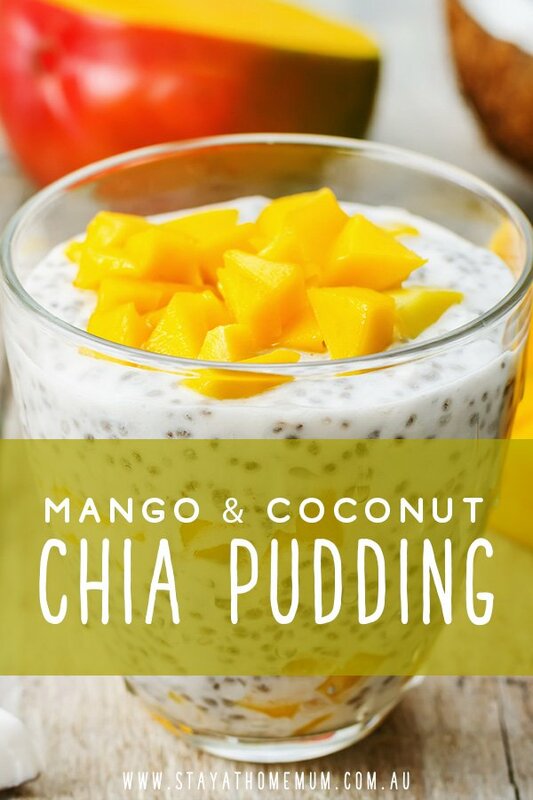 Chia Pudding is so easy to make at home and when flavoured with fresh mango, it is the perfect breakfast for the hot weather. Whilst this isn’t a recipe I’d usually include here on Stay at Home Mum, I read that a friend of mine was surprised just how east Chia Pudding was to make at home. And I had known this, but as I’m not really a fan of Chia, It’s not been a staple in my house! But it can be in yours because I’ve been working on this recipe and have finally got it right. Make this the day before and let the Chia ‘expand’ in the fridge overnight. Sensational! Set out four separate glass jars or small bowls. Divide the Chia Seeds between the four jars (1.5 tablespoons per jar). In a blender, add half the fresh mango pieces, the coconut milk and the brown sugar. Blend until well combined. Pour the mixture evenly over the four jars. Top up with the remaining mango pieces. Seal the jars or place a small piece of aluminium foil over each and refrigerate overnight. Serve for breakfast int he morning! These can remain sealed in the fridge for up to four days.